Occupation: Said has driven taxi cabs for a living. Scars and Marks: Said has dark brown spots of various sizes on both sides of his neck, but primarily the right side. Remarks: Said's physical features may vary in order to conceal his identity, and he may or may not wear a mustache or have a shaved head. Additionally, he always wears dark sunglasses, both indoors and outside. Said was born in Egypt and may seek shelter in communities with Egyptian ties. He frequents diners including Denny's and I-Hop restaurants and smokes Marlboro Light 100s cigarettes. He may work as a taxi cab driver. Said has ties to New York, Texas, Canada, and Egypt. He also has an Egyptian and a United States passport. Additionally, Said is known to carry a handgun in his taxi cab at all times. Said loves dogs, especially tan- and black-colored German Shepherds. It has also been reported that Said always carries a weapon with him, to include knives. 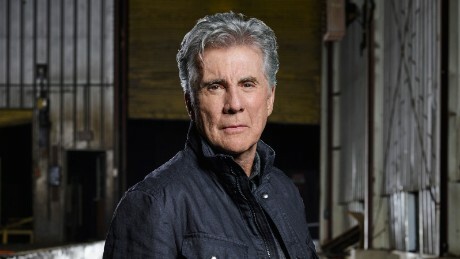 This thread is for who may be AMW/The Hunt viewers' #1 most wanted fugitive, and someone John Walsh has described as being at the top of his most wanted list, Yaser Said. Said as we all know is wanted for shooting his own daughters, Sarah and Amina said, to death in the back of his taxi, and he's also believed to have possibly sexually molested them as well. Words can't describe how angry I get when I think about what he did and the fact he's still on the run. There have many theories as to Said's possible whereabouts. John Walsh believes Said is in Egypt. A private eye hired by Sarah and Amina's aunt believes Said is driving a taxi in New York City. While the documentary "The Price of Honor", which also profiles the Said case, believes it's possible Said is hiding in plain sight in Texas thanks to the help of relatives. But please call in that tip no matter where you think you may have seen him. Update: On December 4th, 2014, Yaser Abdel Said was added to the FBI'S top 10 list. Also, as many of us know, Said's case became controversial because the FBI described what Said did as an "honor killing" in their poster and later had to remove description because of complaints from the Arab community. It is this reason me and many posters believe Said has only had a flyer out from the FBI and has never been actually added to their 10 most wanted list. (EDIT: After 6 years, he finally was). If you want to get enraged even further, according to this blog of the PI, Bill Warner, the NYPD is not actively searching for Said despite so much evidence pointing him there, and a taxi driver telling an Inside Edition reporter he recognized Said as a man who picked up fares at Newark airport. The sighting is significant because the driver even mentioned Said's trademark sunglases. I'm tired of the politics played in this case. I don't care what Said is. It doesn't matter what Said is, black, white, or Arab, what he is is a murderer. No one besides AMW, Bill Warner and Sarah and Amina Said's aunt seem to want to get this guy and these two innocent girls deserve justice. For the reasons you mentioned, this case has become so absurd because of the unrelated politics being played around it. It's also concerning that if Said actually gets captured, the Muslim extremist community could launch attacks of some sort against Law Enforcement. "We went to the police station in a city nearby after we got the call. This was the Arlington Police Department and let me tell you that I wasn’t surprised. After we all explained the situation to the officer basically he said that if we chase the bad guy and we get shot then we can’t really complaint about it. Yes, he said that and we left amazed by it. He said we could file a report if we wanted but it would be useless and we would put it in the archive right away plus we would have to wait over 3 hours to do it even though nobody else was at the station." Ok, so the local police department in a city nearby doesn't seem to care and tells two filmmakers to get lost when family members threaten them for trying to find answers. The FBI won't add Yaser Said to their top 10 list and a lot of us think it's because of the political sensitivity of this case. And according to PI Bill Warner, the NYPD is not actively searching for Said despite all signs pointing to him driving a cab in NYC and having a PO Box in Westchester. What the heck is going on? The FBI needs to take over and handle this case. There's no reason Yaser Said should have been able to stay on the run this long. Enough is enough. I'm sorry for typing in caps here but IS THERE ANYBODY WITH THE POWER TO ARREST SAID THAT ACTUALLY WANTS TO FIND HIM? Unbelievable. EDIT: Just wanted to note this post was made years before he was finally added and thank you to the FBI for doing so! PI Bill Warner now has a new and interesting theory. That Yaser Said may be on the run with his sister, who, get this, is a wanted fugitive herself! Wanted and on the run Ghada Abdel Fattah Said is the sister of Honor Killer Yaser Said who is wanted by the FBI and very possibly they are both in Metro New York City. Circumstances: Minor children Iman and Yousef Almetnawy were abducted by their non-custodial mother, Ghada Abdel Fattah Said. Their father, Hirsham Almetnawy, an immigrant from Egypt, had regular visitation rights, but Ghada Said fled with the children on August 25th, 1999. A felony warrant was issued for her on November 17, 1999. Ghada Said used a PO Box in Euless Texas jointly with YASSEIN SAID, who has known locations in Westchester NY. YASSEIN SAID had also shared a PO Box with Honor Killer Yaser Said in Texas, connect the dots. This is getting beyond absurd. I'm slightly astounded that considering photos of Ghada and her two children were found Yaser's home after Sarah and Anima's murders, AMW never mentioned her or even put her on the website. Tipster: "Hey just calling to let you know I know where Yaser Said is. He's at.."
Hotline: "Thanks, Sir. We'll forward it right away." Hotline: "Hello police, tipster believes Yaser Said may be at..."
Officer # 1: "Thanks AMW, we'll look into it." Officer # 2: "Who was that?" Officer #1: "That was AMW with the whereabouts of a fugitive in an unnecessarily politically correct case no one wants to touch." Officer #2: "Oh ok. Yeah, we don't want to be the guys to piss off a cold-blooded killer's family members for daring to arrest him. Let's go get lunch"
I stress I don't actually believe that, but nothing seems like it's being done that would make anyone think he is desperately being searched for. (Besides Warner and AMW). I really hope there is a lot more going on behind closed doors because I agree this is absolutely ridiculous. This is why in my opinion the FBI needs to take over this investigation. Even if they dont add him to the top 10 list. They need to be the only ones handling this case. (Along with Warner's help if they wish) They need to do surveillance on that house. I'm sure Yaser's brother Yasein already assumes this is possible and is careful. But, I'm also sure the FBI has their own methods of getting around that. I would like to respectfully disagree. He allegedly molested his daughters as well. He allegedly keeps knives and guns in his cab at all times. That, to me, is a man who is dangerous to children and others. Oh, he's dangerous alright. If he thought one of his passengers in his cab possibly recognized him I could see that getting ugly. I was saying that the FBI might not share this perspective, and that's probably a reason why they haven't pursued him. Well, in that case, I'd disagree with the FBI. AMW just posted Yaser Said as their fugitive on the day on Facebook. They've been posting infrequently ever since cancellation so a bit odd that they posted his picture today. I wonder if they're getting any hot tips on him. Nice to see regardless. In a nice and pleasant surprise, the FBI has increased the reward for the capture of Yaser Said to twenty thousand dollars. Perhaps this means they're finally getting serious and perhaps can finally add him to the TOP 10 LIST! I was not previously aware that Said may have shaved his head, or may even be in Canada! About time we got this new push to hopefully get Said off the streets.